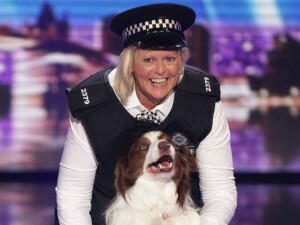 Ofcom has ruled that ITV misled viewers over the use of a stunt double dog in the final of this year's Britain's Got Talent show. The regulator received more than 1,175 complaints about the the use of a second dog, Chase, to perform a high rope walk that won the £250,000 first prize for Blackpool-born dog trainer Jules O’Dwyer and her dog Matisse. O’Dwyer narrowly won the public vote - in which 4.5m votes were cast via the BGT app for free, and by landline or mobile at 50p - with 22.6%, against second-placed magician Jamie Raven, who won 20.4%. A spokesman for Ofcom said: “After a detailed investigation, we found ITV broke broadcasting rules by misleading viewers during the series finale. ITV has now offered to refund any viewer who used paid voting in the final, or donate their money to charity. Ofcom said ITV had broken rule 2.14 of the broadcasting code, which states that “broadcasters must ensure that viewers and listeners are not materially misled about any broadcast competition or voting”. A spokeswoman for ITV said: “There was never any intention to mislead viewers. “The majority of votes cast for Jules’ act were received through the free voting app. However, we accept that some viewers who voted for the winning act by a paid voting route may wish to seek a refund, or that the cost of their vote be donated in full to the Royal Variety charity."